This post comes from Victoria Araj from the Quicken Loans Zing! blog. It’s tax season, and that means it’s time to sort through your shoebox of receipts, those envelopes of stock statements and that drawer of paperwork that hasn’t been touched in 12 months. Depending on your income, assets, marital status and a host of other life factors, making sure you have all of the necessary documents needed to file for your specific situation can seem daunting. Here’s a quick checklist of items you may need to gather before meeting with your tax professional. Your W-2 form from your employer, or if you changed jobs, you’ll need one from each employer. If you receive income from interest, dividends, self-employment, pensions or payments from the government, you will need to have a 1099 form. If you own a business or are in the farming industry, you’ll have to provide records of your income and business expenses. If you’re a beneficiary of a trust or an estate, or if you receive income because you’re a stockholder in an S Corporation or a member of a business partnership, a Schedule K-1 may be required. Any sale of real estate, such as for your primary residence, second home or investment property, will require documentation. If you own a home, bring the property tax bill and mortgage statement to your appointment. Mortgage interest on first and second homes is generally deductible for taxpayers who itemize their deductions. If you have a home equity loan and want to deduct the interest, you may need additional documentation aside from Form 1098. If you relocated because of your job, you should bring documentation that shows expenses for your job-related move that were not covered by your company or organization. If you are reporting sales of stock, you’ll need to bring a year-end statement that shows the original cost of the stock and information about the sale. 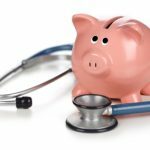 If you made contributions to a Health Savings Account or Medical Savings Account, or need to report distributions made from them, you’ll need these forms. Certain medical expenses may be deductible if they exceed a specific percentage of your adjusted gross income. 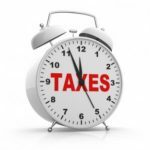 Check with your tax professional regarding the paperwork necessary to obtain these deductions. If you made charitable contributions, you should collect your receipts showing those donations. If a single contribution exceeds $250, the charitable organization should/will provide you with a statement you can use to file. If you have kids in daycare, bring documentation that shows the cost as well as the name, address and ID of the provider. If you were divorced within the last year or filed for divorce, your tax preparer will let you know the forms needed based on how you will file your taxes. If you have children and are the noncustodial parent and want to claim a dependent, you’ll need Form 8332. While many Americans dread tax season (at least prior to any refunds), it’s always smart to have a good idea of the documents necessary to make your filing efficient and painless. A wealth of resources can be found by visiting www.IRS.gov. If you’re in doubt, simply contact your tax professional who can help you get a handle on what you should assemble for your appointment.